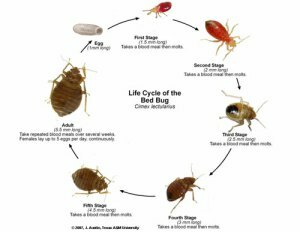 Beg bugs are little bugs that have eight different stages to their life cycle. When moving onto the next stage of the cycle of their life, they need to drink blood, from whoever is sleeping in their bed. They are like pacman, chomping along in a line and once they get a hold of your bed, bag or clothes, there is just no stopping them. So my encounter had me hurling out the room at top speed! It all started when I was staying in a guest house which I will leave as nameless however I have written a review on a popular website to warn others. I had stayed at this guesthouse for 5 nights already to take in the sights of Kuala Lumpur and to wait for my Indian visa to come through. For the past two days I had an ant infestation even though I had no food in my room. After I repeatedly asked for it to be cleaned to no avail (it wasn’t the cleanest guesthouse to begin with), I insisted on moving rooms. Into room 26 I entered. After finding a tissue underneath the pillow and what looked like pubic hair on the bed sheet, I was please to be leaving for India the next day. I decided that night I would be sleeping in my sleeping bag but luckily had not taken it out of my backpack. Off I went for some food before I headed back to the room and sat with my laptop replying to some comments on my blog. After about an hour I noticed a little bug on the sheet. Unable to kill anything, I flicked it off the bed not thinking much off it. But a little while after there was another one, on me! Suddenly it dawned on me. Is this a bed bug? I quickly googled bed bugs and was horrified to identify this bug as a bed bug. Off I march to reception – bug and laptop in tow. The poor man on reception had both of these thrust in his face. He quickly called over a co-worker who did not seem concerned. I then stomped back to my room and started dragging my stuff out into the corridor. I was approached by one of the receptionists who got my full rant about the unclean bed covers, the bed bugs and how “this really was not cool”. He did kindly help carry my bags into the reception area where I plonked myself down to find somewhere else to stay. Following two more conversations, I was offered the ant room back. It was late in the evening, why don’t I stay just one more night, they are very sorry. Finally I accepted and headed up to my apparently clean room which is ready for the next guest. I was very surprised (or perhaps I shouldn’t have been) to find the same throw and pillowcases on the bed as I had been using for the past 5 days. When I pointed this out, I was asked if I wanted to change them. What’s the point I exclaimed! It’s only my germs on them. In hindsight yes they should have been changed as how many people prior to me have they been recycled from? The next morning I checked out. When payment was requested for the last night stay, I almost fell over when they requested the full price of any room rather than the cheaper bed bug room. After a lot of discussion and me threatening to just leave without paying, they kept my 50MYR (£10) deposit and I saved myself 20MYR (£4) on the most insect riddled stay. And the worse thing was that when we were discussing the price of my stay, I discovered after my departure from the room, they had had given it to another guest, bugs and all. 1/ Read reviews. Any sign of bedbugs in a review and I won’t even consider a place. -Check the bed sheets. If you see small red stains then these are signs that bed bugs are around. These are left after feeding on you guessed it, your blood. 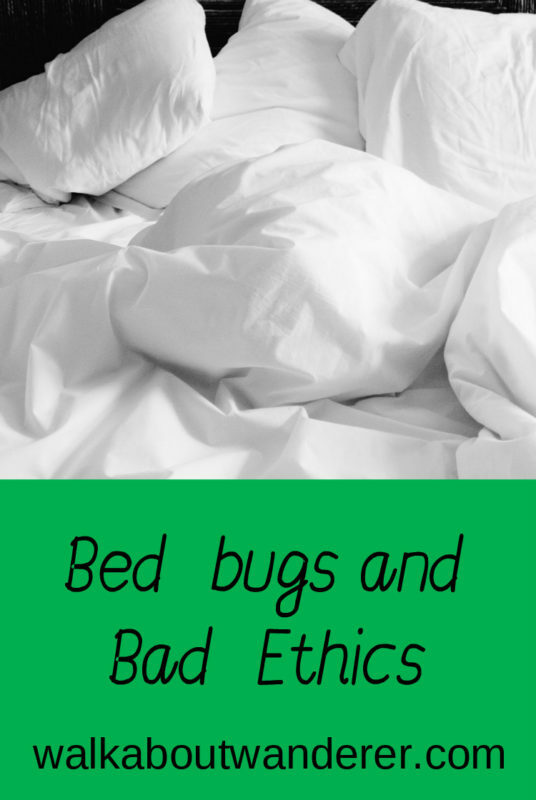 -check the edge of the bed, bed bugs moult as they grow and you might find their brown exoskeletons in the bed frame or collected in dips in the mattress. – does your room smell musty like wet towels? This is the pheromones which bed bugs release. – if you feel itchy in bed and find red bits in a line or zigzagged then you have been got by bed bugs. 3/ Ensure a certain level of cleanliness. Have they reused bedding? Even the cleanest places can suffer with bedbugs however if they do not keep a certain level of cleanliness then they probably won’t sort out bed bugs either. 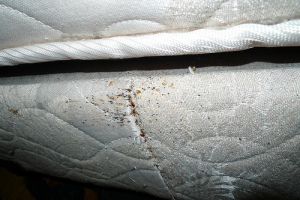 4/ If you have stayed in a place with bed bugs then you need to exterminate them from your stuff. This involves either freezing them or boiling them. Wash your clothes on a high heat, freeze anything that you can’t wash on a high heat and I am afraid that your backpack/suitcase has to go if you can not wash or freeze it. Get out of the place as soon of possible but do not introduce your clothes including the ones you are wearing to the new place you go to or else you will spread them. 5/ Warn others! Don’t you wish someone had warned you? 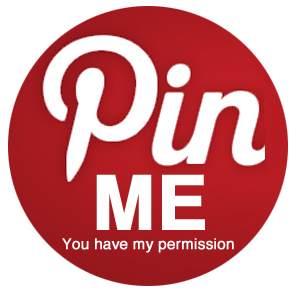 Get on the reviews such as TripAdvisor and who you have booked through and tell the world! However if it is a one off occasion and the place are taking steps to fix it then be a little bit more lenient. The nicest of places can get bed bugs due to their guest staying in an infested place. Shout it to the world. 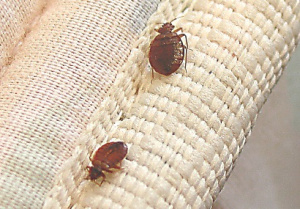 Have you ever come across bed bugs on your travels? Any other nasty surprises? Please comment below. And to read nicer stories about my travels and travel tips don’t forget to subscribe to my blog (It’s free) for fortnightly updates. 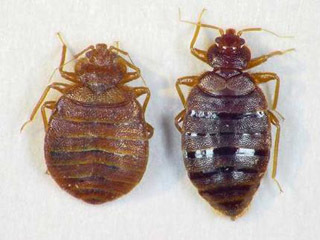 Here are some tips for bedbug identification: they don’t spread diseases by their bites…however bedbugs’ bites will cause mild to severe itching, irritability, poor sleep (though you won’t wake up). Some people do get tiny red welts or allergies. I am a backpacker and I have been lucky to not fall prey to bed bugs. After reading your blog, I realized they can be a big nuisance. I hope I don’t find them during my future travels. We have never encountered this until now during all our trips and hopefully, never would have to in future. This is terrible and is definitely going to ruin the holidays. 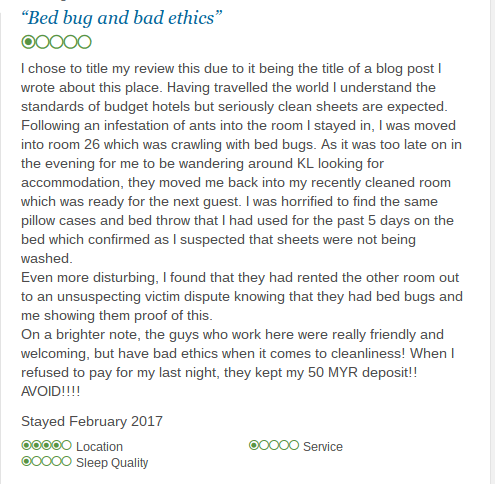 We agree it is very important to check reviews on cleanliness and hygiene before we even think of booking. This is just the worse! I think it is unethical for companies to operate a business and not invest on sanitation. Thankfully, I haven’t encountered one during my travels and I hope I never will! Oh my goodness Kathy! I had no idea you had this experience while in KL. I am so sorry to hear that you went through this experience. I totally agree with your tips – I am always checking the bed before laying on it because I have become quite paranoid with the cleanliness of places. I can’t believe they hadn’t changed the pillows from when you stayed in the ant infested room. Goodness, will totally be keeping a close eye on reviews before I book a place. Thank you for sharing. UGH my lunch is coming back up after the pics haha! We’re lucky to never have encountered these pests (knock on wood). I’m sorry you had to deal with this, what a nightmare… Checking reviews is an absolute MUST- and this place should be ashamed of themselves! !